The EDGE ENSEMBLE is a collection of musical dissidents. Performers who are either too passionate or too stubborn to conform to the expectations of their scene. Performers who can execute their radical approach with beauty and ease. A rock drummer turned spectromorphologist, a classical pianist gone free jazz, a baroque violinist performing Klingon opera. The ensemble performs in a dizzyingly varied set of contexts: commissioning and premiering new concert works, playing semi-improvised soundtracks with silent film, hosting acoustic jam sessions around the music of Steve Reich and Giacinto Scelsi, performing on top of Atelier van Lieshout’s massive sculpture ‘Blast Furnace’. Rehearsals frequently lead to arguments. A contemporary performer wants the composer to have the final say in interpretation; a jazz performer wants to have the final say himself. Whose voice does the ensemble's performance represent? Whose voice does an improvised solo represent? This ensemble says: All of them! So what prevents the ensemble from sounding like an eclectic mashup of styles and ideas? The unwavering artistic direction of composer/drummer Brendan Faegre. He embraces the players' diversity of skills and traditions, while remaining determined to find common ground upon which to build a unified voice as an ensemble. The ensemble’s activities cover a vast range of experiences, but within each project there is one core focus, developed and polished to the furthest extent. The group is based in The Hague, yet its members come from around the globe. The ensemble plays regularly as a quintet, but can function equally well as a 3-piece or 10-piece band. The key words are: flexibility, intensity, freedom, and precision. 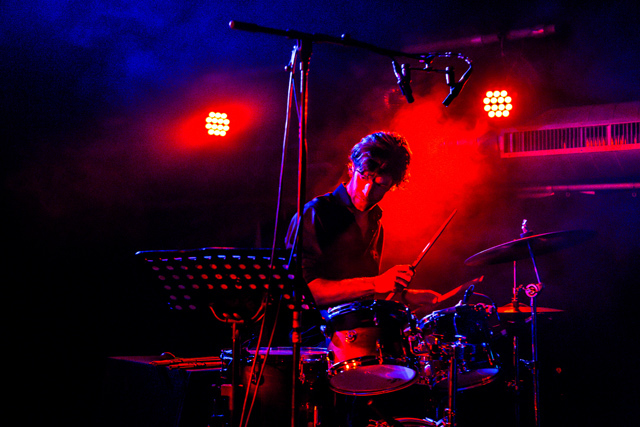 Composer/drummer BRENDAN FAEGRE (US) crafts music that unites the traditions within which he was formed: jazz and rock drumming, Hindustani classical, and contemporary concert music. Praised by the New York Times as "especially empowering" and "darkly exhilarating", Faegre's music is performed at major festivals around the world such as Huddersfield, Gaudeamus, November Music, TRANSIT Leuven, Dark Music Days, Beijing Modern, Thailand International, Aspen, Cabrillo, and Bang on a Can. Recent commissions include Collective, for the New York Youth Symphony at Carnegie Hall; Transcendance, for the David Kweksilber Big Band at the Bimhuis; and Music for Bars for Slagwerk Den Haag and Club Guy & Roni at bars around the Netherlands. 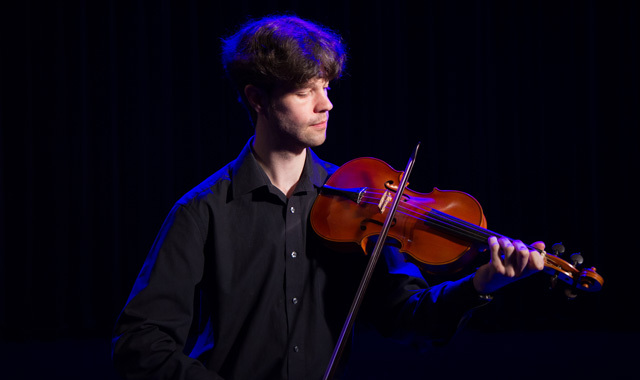 JAMES HEWITT (UK) is active in both early and contemporary music, in ensembles such as the Yiddish Baroque ensemble Simkchat Hanefesh, the Baroque/Turkish group Pera Ensemble, and the Scroll Ensemble, which specializes in programs inspired by Baroque improvisatory practices. 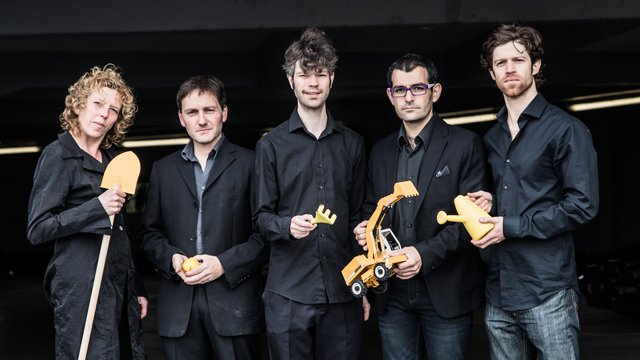 The Scroll Ensemble was featured in the Leipzig Improvisation Festival, and a finalist in the York International Early Music Festival Competition. Hewitt leads historical improvisation workshops in Den Haag, Weimar, and Poland. He also works with contemporary improvisation ensembles the Royal Improviser's Orchestra and DaMU (music/dance), and in theatre projects, such as the Klingon Opera U, in which he plays a newly made instrument, tin dach, on which he also performs modal improvisation and Gregorian chant. 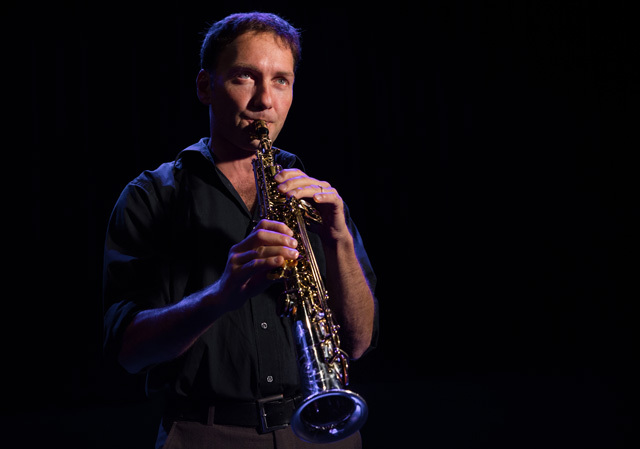 CHRISTOF MAY (DE) is a jazz and classical musician who performs on the clarinet and saxophone. 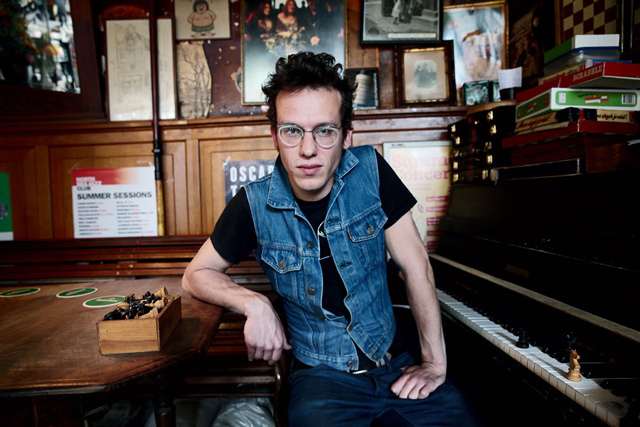 He has performed with Susanne Abbuehl, Michel Portal, David Liebman, Claudio Puntin, Samuel Rohrer, Florian Zenker, Amina Figarova, Erik Ineke and Trygve Seim. With Abbuehl, May can be heard on the ECM productions April and Compass. He toured through Europe, Africa and North America, playing concerts and festivals in Cape Town, Maputo, Montreal, Portland, Oslo, Paris, Rome, Moscow, Kiev and other European cities. In the classical field, he worked with the symphony orchestras of Krefeld-Mönchengladbach, Aachen and Duisburg in Germany. May composed several soundtracks for David Lynch's Interview Project Germany. 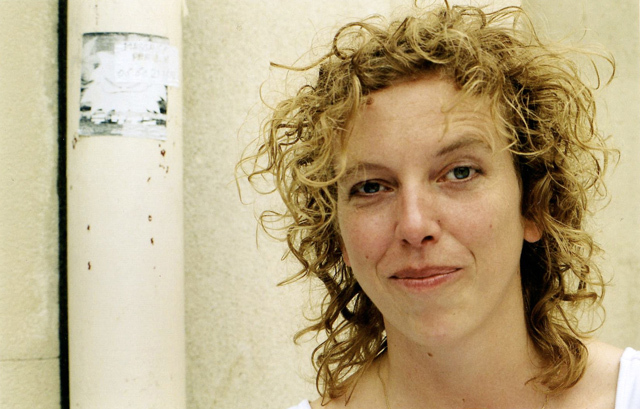 NORA MULDER (NL) is a pianist based in Amsterdam, playing composed and improvised music. She performs solo, with her collective 7090 and EnsembleExtraOrdinaire, and as a guest in various ensembles and orchestras. She has worked with more than 100 composers, including well-known ones like Michael Finnissy, George Crumb and Helmut Oehring, as well as the upcoming generation. Being part of both the composed and the improvised music world, she played with musicians such as Francis Marie Uitti and Claron McFadden as well as Jaap Blonk, Veryan Weston and again the newest generation. Next to travelling the world playing concerts, she collaborates with visual artists, actors, dancers, writers, poets and chefs. VASILIS STEFANOPOULOS (GR) is a bassist equally fluent in a wide variety of idioms. 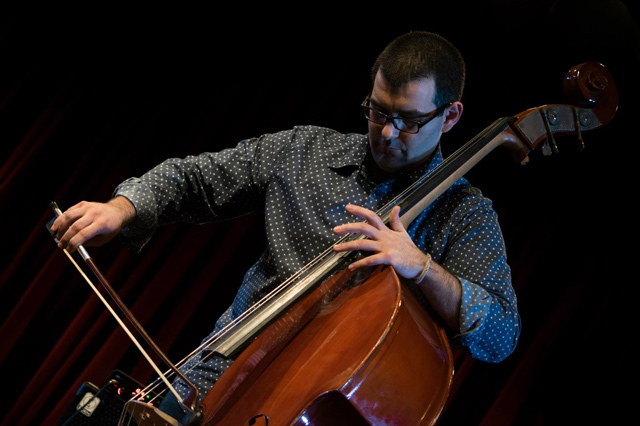 He tours and records with contemporary ensemble Modelo62, jazz groups Andreas Polyzogopoulos Quartet & StarkLinnemann, folk/world ensemble Ti-an-guis, and voice-bass duo InDuologue. Stefanopoulos plays at renown festivals and venues throughout Europe, including the Concertgebouw, Internationale Ferienkurse für Neue Musik Darmstadt, North Sea Jazz Festival, Bimhuis, Lantaren Venster, Gaudeamus Muziekweek, Muziekgebouw aan 't IJ, De Doelen, Anton Philipszaal, Thessaloniki Concert Hall, and Athens Concert Hall. He has also toured in the USA, Mexico, Argentina, China, Sao Tome and Principe, England, and Norway.